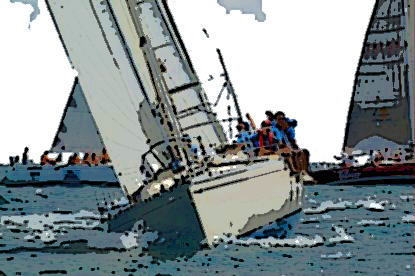 For a lot of people sailing is a lifetime wish. For those fortunate enough of to realise this dream their next wish is ever so often sailing in the Caribbean. Whether you are one of the dreamers - ready to fulfill this dream - or just looking for an activity while you are in Tobago, sailing here has everything you will be looking for. Good sailing conditions don't need mentioning. Plenty bays to anchor your boat is almost just as obvious. The secluded bays, the friendly and authentic people you will find once ashore, the nature both above and below sealevel, the views and temperature. All these make it an experience all sailors will remember. All this looks and is expensive if you have to buy and maintain your own boat. There are several charter companies in Tobago that will give you the same experience without the expense of owning your own vessel. Good thing about this is that the experience is even possible for people who have no sailing knowledge at all. Depending on if you like to share your experience with others or feel like you just rounded the world by yourself : Sailing trips can be booked in Tobago exclusive, or you can join in on charters. Trips vary from daytrips to chartering a vessel to cruise through the Caribbean for weeks.